I'M JUST GOING TO SAY IT! WELL PLAYED ENGLAND! 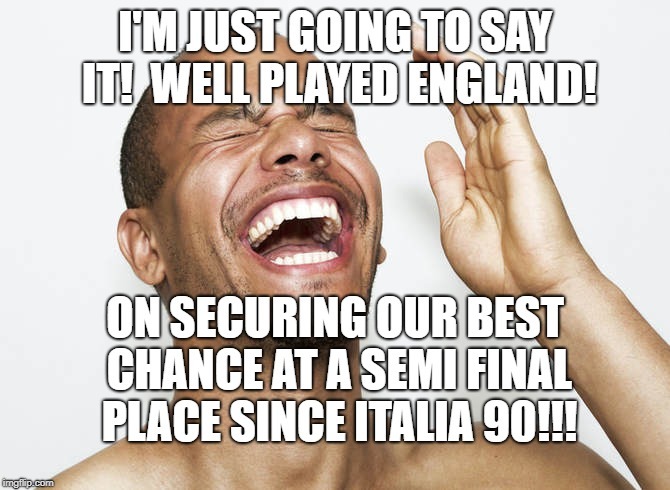 ON SECURING OUR BEST CHANCE AT A SEMI FINAL PLACE SINCE ITALIA 90!! !